. So , if you have come here you are probably thinking of what to spend your *donuts* on right? As you can see above , there are a lots of ways to earn *donuts*. While you feel proud about the fact that you have gained some *donuts* , you probably think : &quot;What should I spend my donuts on? There's lots of thing to spend your donuts on , but some of these a pointless... Later in this guide we will explore what you can spend your *donuts* on. However , lets not get onto that yet. We are looking to spend our *donuts* on things that matter. Your team offers lots of boosts to your Hero (more exp, more coins, more stats). You can only donate as many total donuts as you bought. Sometimes, the Hero Zero staff give you free *donuts*! These are added to the total you can donate.. So , remember! Don't be selish , help your team. In return they will help you through friendliness and boosts and all that happy stuff. Spending your money on the *donut* boosts are a really good idear as depending on which one you buy , gives you really good boosts. Each boosts last for seven days and costs ten *donuts*to buy. This may seem a lot , but this is really worth the *donuts*. Mission boosts make your missions %50 faster and lowers the energy requirement for missions by %50, making the energy refills less needed .I would recommend getting this at any level , high or low. Work boosts give you a %50 extra pay when you work for coins. I would recommend when you a higher level because you gain lots , and lots of coins when doing this at a high level. Also use this boost if you are not on that much , you can be afk , and earn money! However , considering that ten *donuts* is a lot, work boosts aren't really that good. Enegrgy refills are also good if you use them correctly. This is because sometimes its better to pay the coins ( if its a low ammount ) for energy then to use *donuts*. Every time you use it in that day , the cost rises... rises... and you know... rises. So when the coins cost is high , think about using the *donuts* to keep you going! NEVER , I am mean... NEVER! Use you *donuts* completing missions , many people make this mistake but please. SAVE YOUR *DONUTS*! This is another NEVER one... You just waste your donuts if you do this. No... just no... using this is pointles. If you don't know what this is , you have to train slots in th traing menu , to incrase a skill by a number. Each slot takes 5min out of how many slots. However , you can do it all at once , but , the catch is it will still take the same ammout of time. If you have used this ( like me once ) never use this again... please. Get new items to buy ( Good at a high level / prepearing for pvp. All of the above could be Goodor Bad to your *donuts* . Don't use them all at once , save up to get new *donut* items from the shop. Also , if your a low level player , please refrain from using donuts in the shop. Wait untill a higher level! This basically concludes the *Donuts* guide! Have fun! 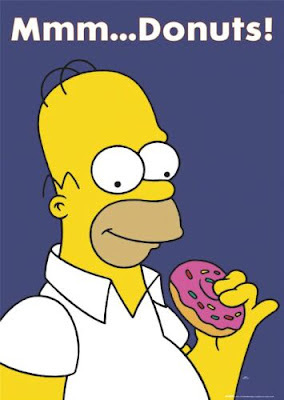 Remember to use your *donuts* wisely! If you like this guide , please comment to tell me how to improve it. Or if you can , please like this topic! NOTE: Also thanks to you guys for giving me feedback , it has made the guide ten times better! Keep the feedback comming!